Do it because it's the right thing to do. Lenny Wilkens’ annual celeb weekend raises more than $550,000 for Odessa Brown Children’s Clinic. Because of the generosity of our donors, the Lenny Wilkens Foundation proudly donated $100,000 to the Odessa Brown Children’s Clinic in central Seattle, December 16th. In 2015 the Lenny Wilkens Foundation has donated a total of $120,000 to various charities. Our deepest thanks to the wonderful people who so freely give to support the community we live in. 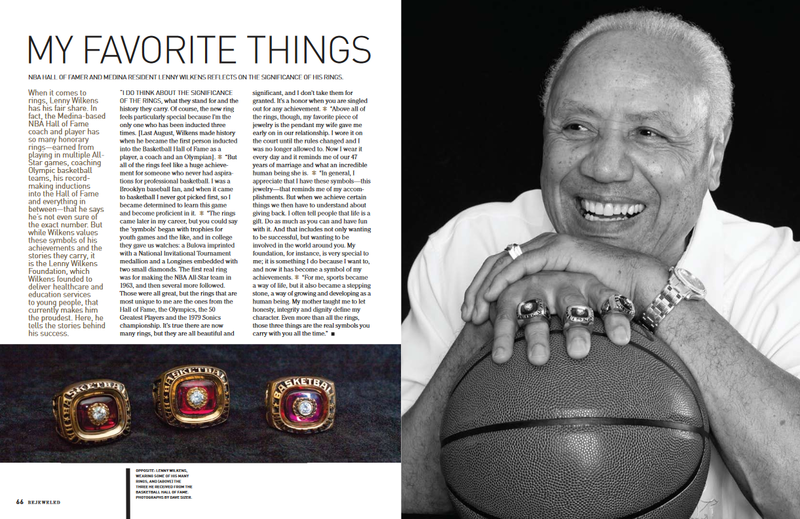 Lenny Wilkens Foundation – 2013 Recipient of Outstanding Philanthropic Org. The Lenny Wilkens Foundation supports healthcare and education for all children regardless of their financial means. The Lenny Wilkens Foundation strives to provide all children with an equal opportunity to become leaders in their community. It is Coach Lenny's goal to focus his winning strategies from 40 years with the National Basketball Association and apply that skill to inspiring philanthropy. We are one community and need to ensure those in need are given a helping hand so they can help the person next to him or her. 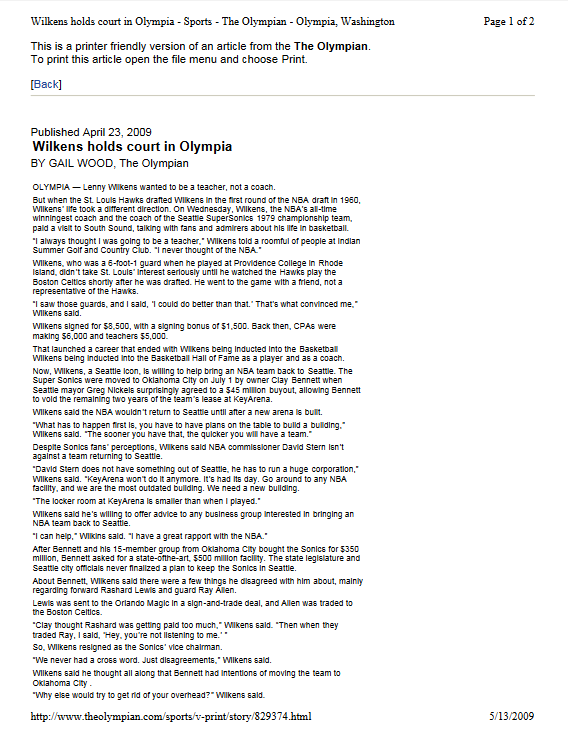 Looking back at 2006 when Lenny Wilkens raised the banner dedicated to The 12th Man. The Martinez Foundation annual luncheon was hosted by Seattle Mariners Legend Edgar Martinez and featured a key note address from Lenny Wilkens. he Martinez Foundation helps students of color become exceptional teachers. We do it by providing support — scholarships, a collaborative, mentor-driven environment, and curriculum resources. We do it because of what we know our communities need: Increased equity in the classroom. More role models for our children. Extraordinary educators and leaders. Lenny gave the keynote address. The Matinez Foundation allows Fellowship programs for teachers of diversity. Lenny spoke of teachers and mentors throughout his life to over 200 guests at the Bellevue Hyatt. Please visit the The Martinez Foundation website to learn more about their service to our community. The Seattle Seahawks' All-Pro cornerback brought some of his closest friends and teammates to his charity game Sunday at Cheney Stadium. The event - which benefitted Helping A Hero - drew a sold-out crowd to Cheney Stadium, the place where the Tacoma Rainiers call home. The event even drew some nationally known athletes from outside the Northwest, including Arizona Cardinals Pro Bowl receiver Larry Fitzgerald and Terrell Owens, one of the league's most outspoken personalities whose trash talk has rivaled Sherman's. Over the course of seven innings, the Cheney Stadium crowd saw things they aren't likely to witness again anytime soon: 'TO' taking the pitcher's mound, a 43-year-old Shawn Kemp legging out an infield single. Toward the end, the game tightened, with Team Trufant tying the game at 20-20 in the final inning. That led to a winner-take-all homerun derby, the rules for which required a home-plate conference for several minutes between both teams. Walter Thurmond's blast ended up being the game-winner, giving Team Wilson the victory and an NFL-like scoreline, 23-22. 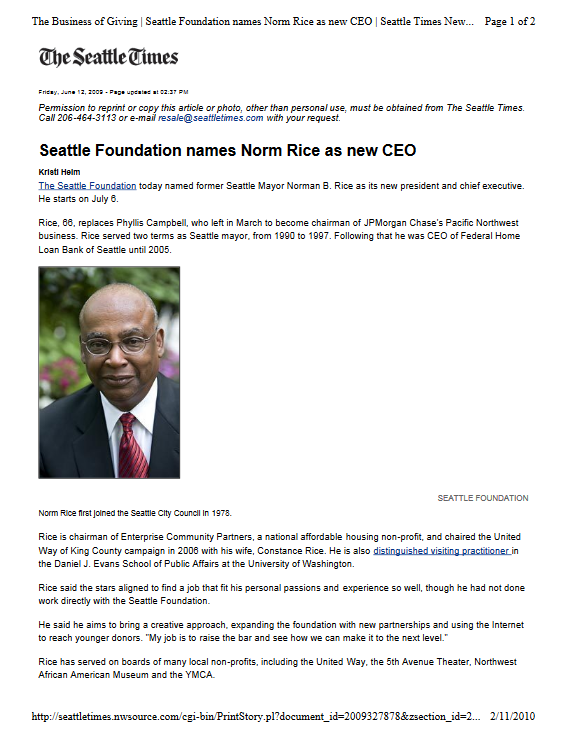 First Citizen has recognized and honored the outstanding community leaders who have served the needs of our communities and the people of Seattle and King County for the past 75 years. Seattle King County Realtors announces its 2013 First Citizen - Lenny Wilkens. The Medic One Foundation honored three Leaders and Legends: Lenny Wilkens, Suzanna Darcy-Hennemann, and Randolph Mantooth. When six minutes means the critical difference between life and death. It’s a fact: Medic One, Seattle and King County’s pre-hospital emergency care system, sets the standard for lifesaving excellence in the U.S. and worldwide. The Medic One Foundation is a major reason why. This year the Lifesavers and Legends event celebrated three honorees who helped inspire Medic One volunteers. Inspirational leader, philanthropist, and Basketball Hall of Famer, inducted as a player in 1989 and twice as a coach in 1998 and 2010. Chief Pilot for Boeing Flight Services, the first woman to captain a 747-400 and a 777, and in 2005 commanded a flight that set a record for the longest non-stop flight of a passenger airliner. Actor and EMS/Fire Service advocate, recognized for his role as Paramedic John Gage on NBC’s popular TV series EMERGENCY! Please visit the Medic One Foundation website to find out how you can help them save lives. P Earlier today, Washington State AD Bill Moos went on the Kevin Calabro Show on 710 ESPN Seattle to announce a few things. First, Moos confirmed that former sideline reporter Bud Nameck will join Bob Robertson in the booth and serve as a replacement-in-waiting. Robertson will still be the lead play-by-play announcer, but I'd assume he's going to get the Dave Niehaus treatment and slowly transition to Nameck through the course of the season/next season. Also joining BobRob in the booth is former Coug WR Shawn McWashington. No word yet on if he'll announce 'holding!' after each and every play. The book on McWashington seems to be that he's extremely candid and understands this type of offense. Shawn McWashington is half Jim Walden's age, has never coached college football and has limited experience in broadcasting. But, to invoke an old quote from Don James, he won't exactly be a 2,000-word underdog to Walden when he assumes the ex-coach's role as color commentator for Washington State football radio broadcasts. Shawn is a client executive for selected clients of Marsh’s Seattle office as well as a seasoned sales professional. In his role he is responsible for coordinating the delivery of Marsh resources to his assigned client base, working with the client team, developing marketplace strategies, and crafting solutions for unusual business and insurance risks. 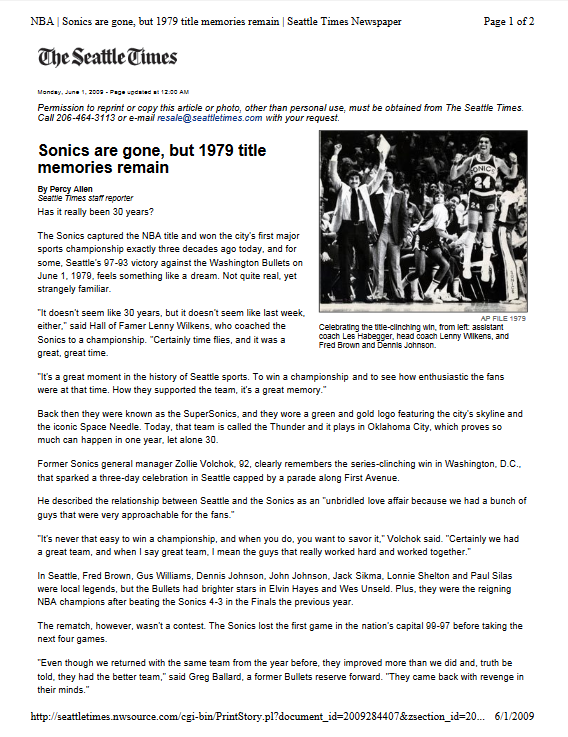 He sits on the Board for Special Olympics Washington and the Lenny Wilkens Foundation. Three-time Basketball Hall-of-Fame legend Lenny Wilkens assisted the Microsoft Store team with a fun in-store launch event for NBA 2K12. The University Village Microsoft Store sponsored a 24 person tournament on the 101 inch HDTV featuring the photo realistic XBOX 360 video game. The NBA 2K12 Legends Showcase DLC for this exciting game includes the 1968 St. Louis Hawks point guard. Feel free to browse through the 2011 Event Photos to relive a wonderful evening or look ahead to joining us in 2012. He left this world too soon but he left behind a lasting legacy. His mark on the sports world with ''the shot'' is well known, but his friends and family will remember him even more for the amazing life he lived and the love he shared.
" I am raising money for bladder cancer research in memory of my beloved husband Carl Wayne Ervin who passed away on June 25, 2011. Bladder cancer is now the fourth leading cause of death in men. All donations are secure and sent directly to Bladder Cancer Advocacy Network, Inc. by FirstGiving, who will email you a printable record of your donation. Our two day event may be over but fundraising is ongoing! The Lenny Wilkens Foundation presents a $110,000 check to the Odessa Brown Children’s Clinic. Lenny is pictured with Foundation Board members, staff and children from the clinic. 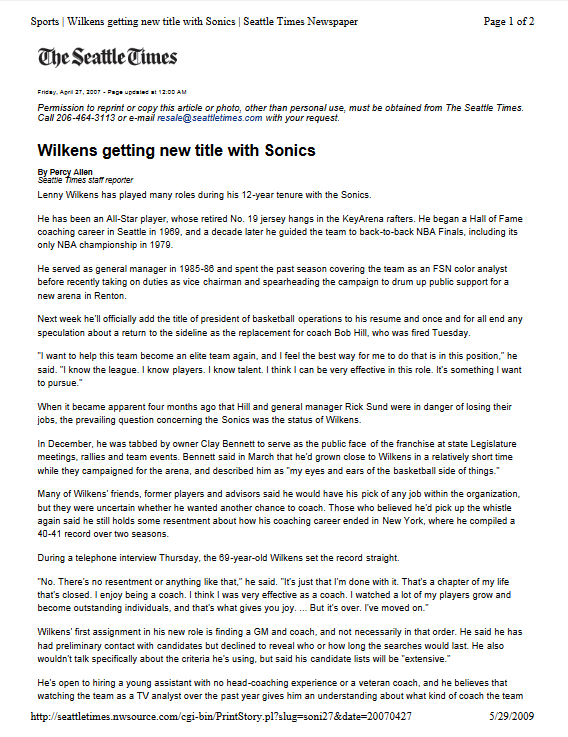 Did you know the Lenny Wilkens Foundation was on Twitter? Get in on the action and get the inside scoop @LWFoundation. Are you on Facebook? 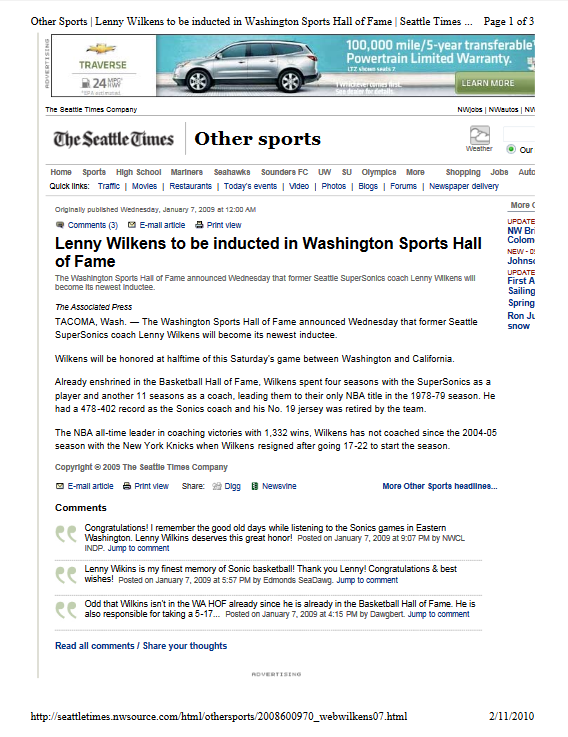 If so then please join the Lenny Wilkens Foundation Facebook Fan page here. Pictured: Daniel Lalonde, Brigid Graham, Lenny Wilkens. Recently Louis Vuitton hosted an exciting special event in support of the Lenny Wilkens Foundation. In addition to the host's pledge to donate a portion of that night's sales to the Foundation, several generous attendees made direct contributions. Proceeds from this one-night only event helped the Foundation in its ongoing efforts to make a difference. Thank you Daniel Lalonde (President of Louis Vuitton) for your kindness. The Lenny Wilkens Foundation presents a $130,000 check to the Odessa Brown Children’s Clinic. Lenny is pictured with Foundation Board members, staff and children from the clinic.